Can't attend? 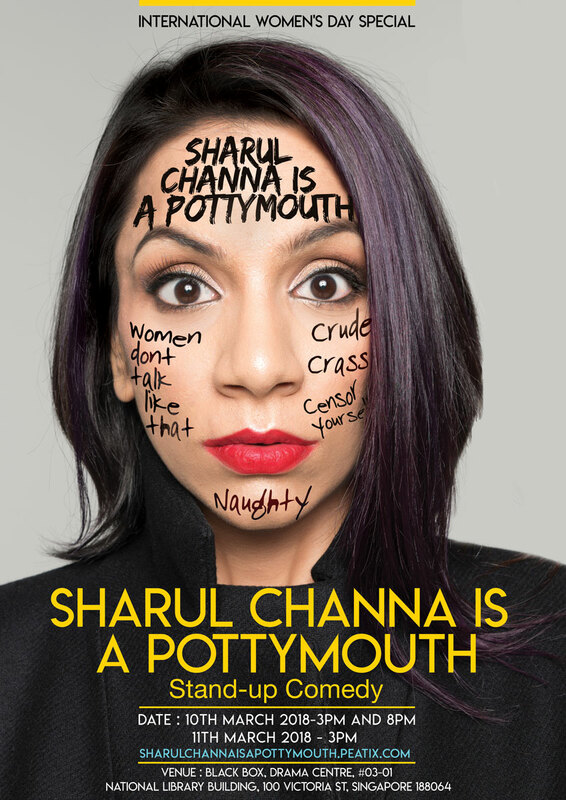 Follow Pottymouth with Sharul Channa to know of future events! Sharul Channa is a Pottymouth. Last year, Sharul Channa was a pottymouth. This year, Sharul Channa still is a pottymouth. During the week of International Women’s Day, Sharul Channa will take the stage with her brand new one-woman stand-up comedy showcase to prove that women have many amazing stories to tell and a unique perspective worth listening to. Come join Sharul in her 2nd Edition of this solo show as she recaps an eventful 2017 and shares her plans for 2018. If you’re there, great. If not, *&^%$ you.